Andrew Lloyd Webber and Tim Rice's rock opera returns to Broadway. 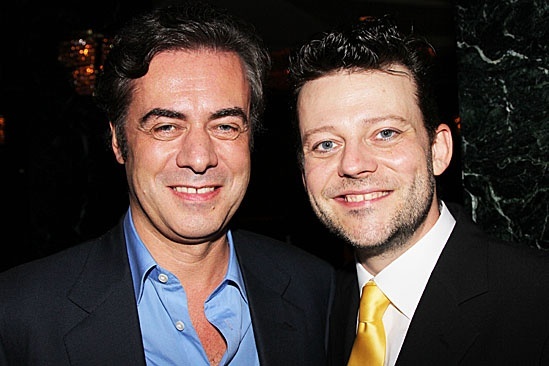 Broadway Across America honcho John Gore congratulates JCS’s superstar understudy Jeremy Kushnier. Andrew Lloyd Webber and Tim Rice's Jesus Christ Superstar officially returned to Broadway on March 22, 2012.